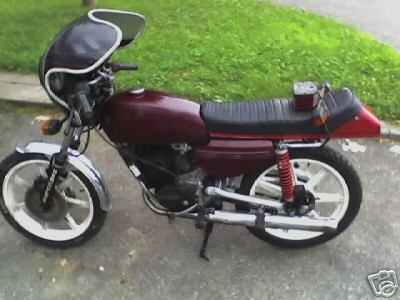 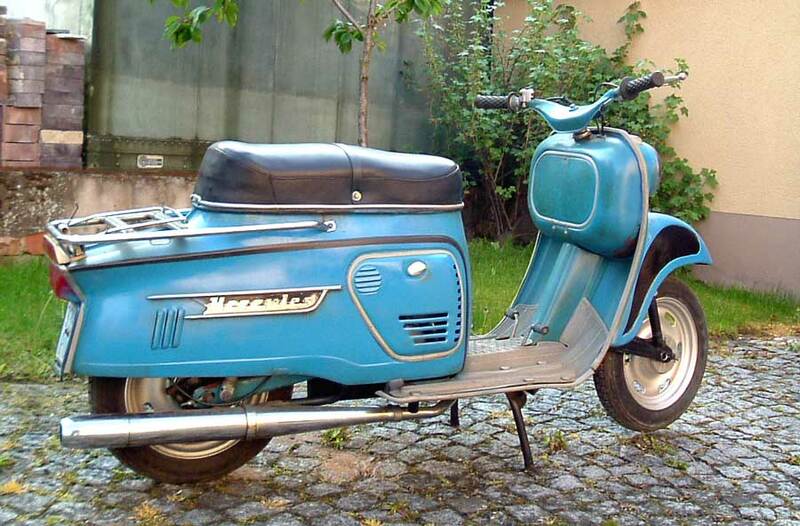 Hercules' main focus in its early years were small motorcycle/scooter designs with small capacity engines. 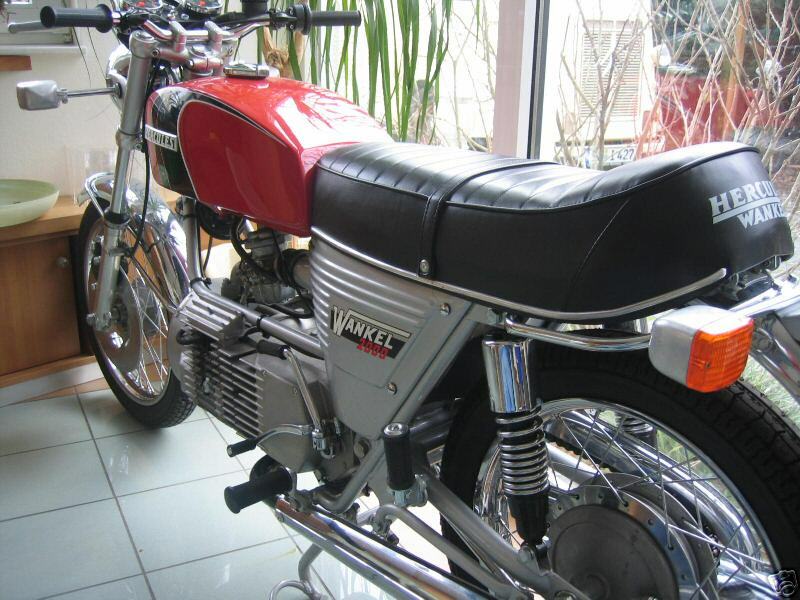 They began to increase to larger machines in the thirties and even saw some competition and long distance endurance success. 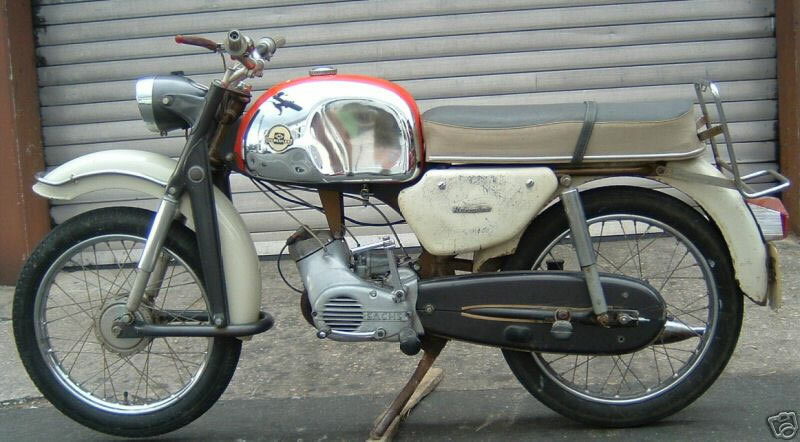 World War II resulted in heavy damage to the Hercules factory and production did not resume until 1950. 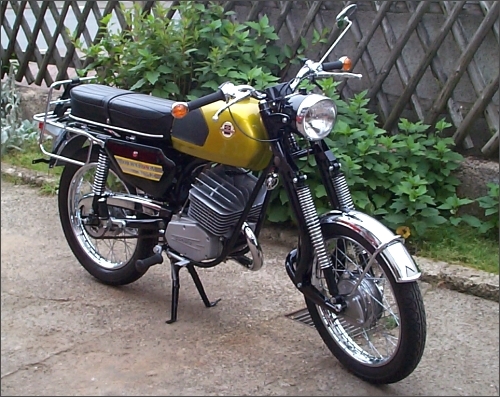 The company developed a number of new models and stuck with those models for many years which helped them survive a downturn in the German economy shortly after their release. 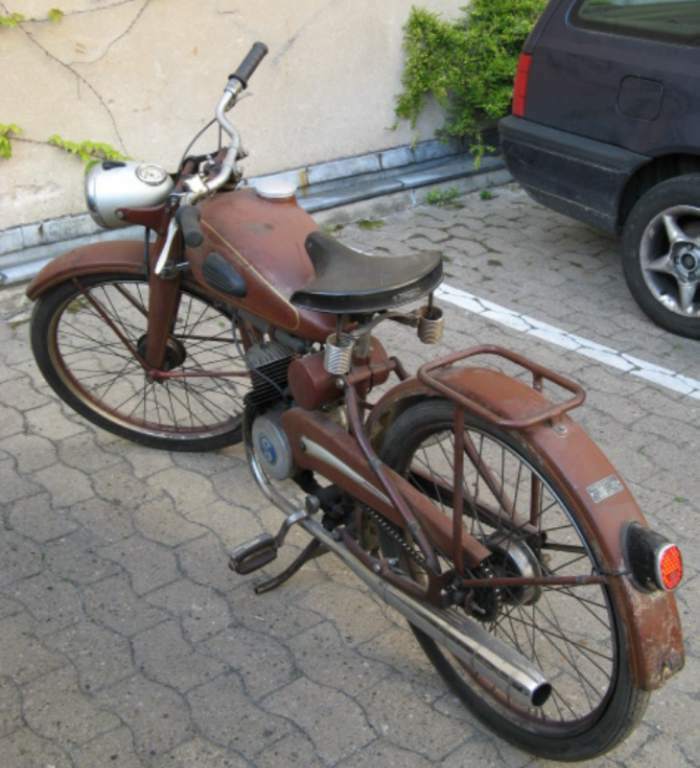 Hercules became one of the largest motorcycle producing companies in Germany. 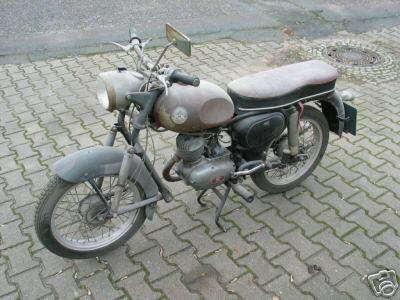 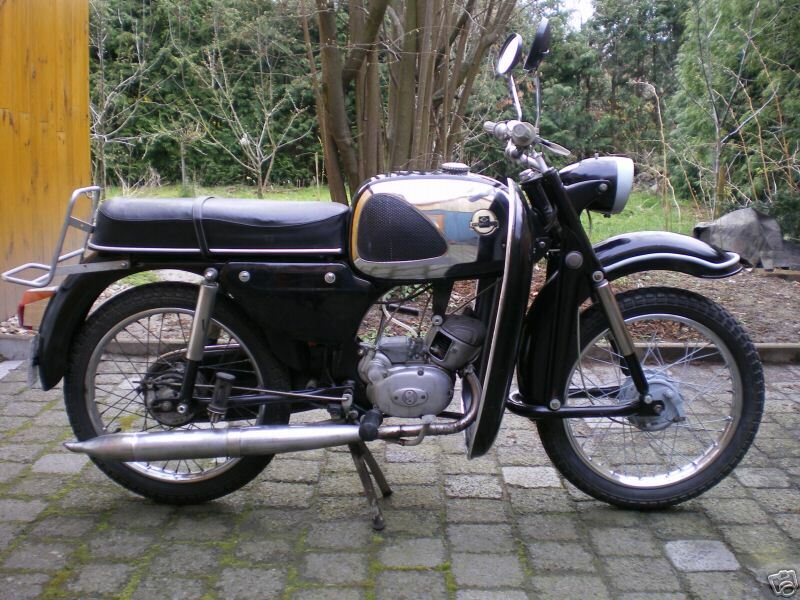 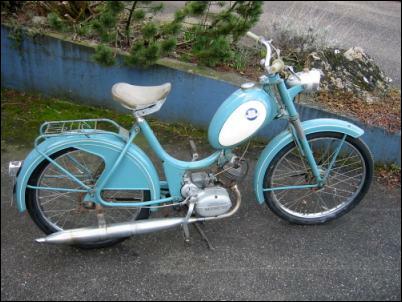 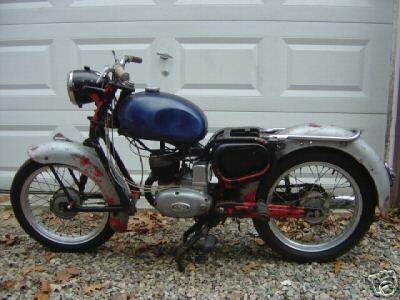 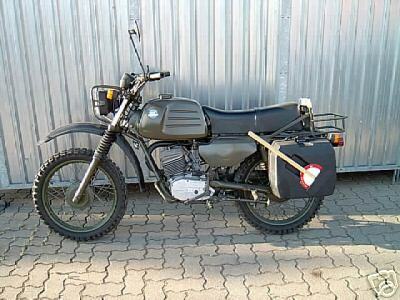 In 1966 the company merged with the Zweirad Union which also included DKW, Express and Victoria. 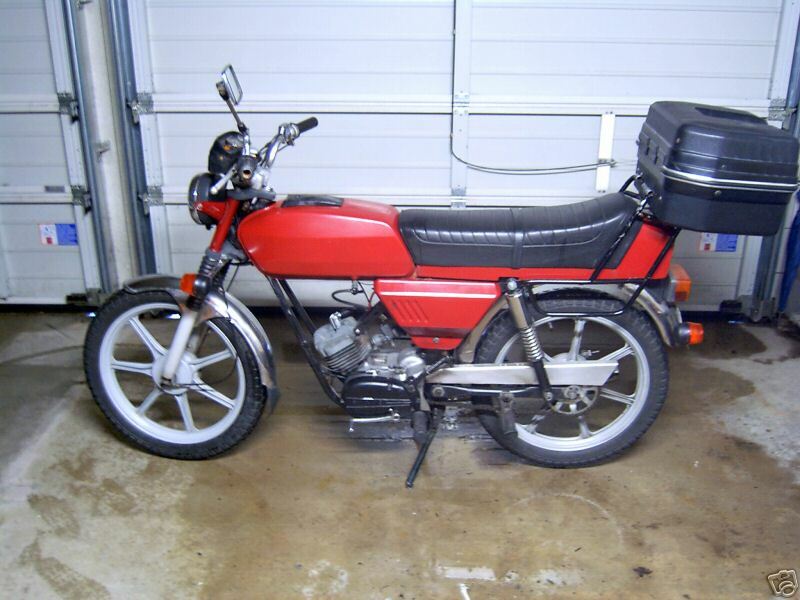 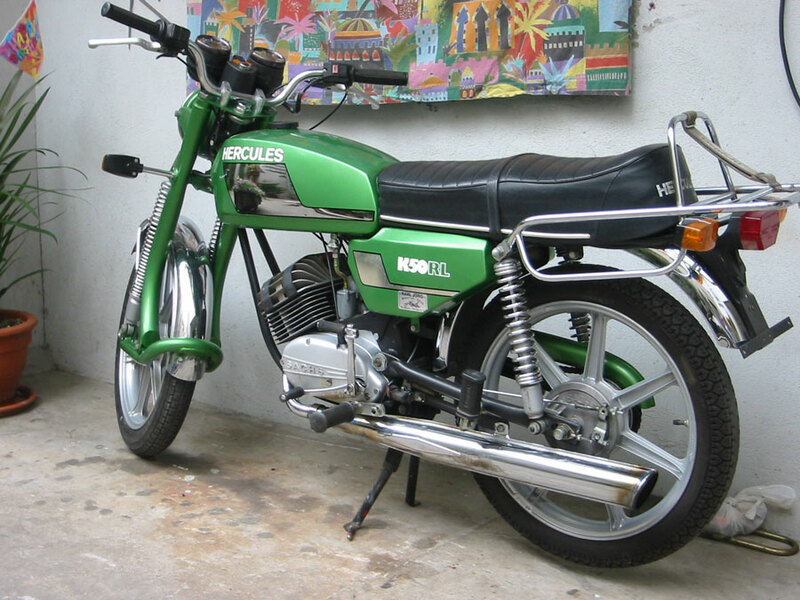 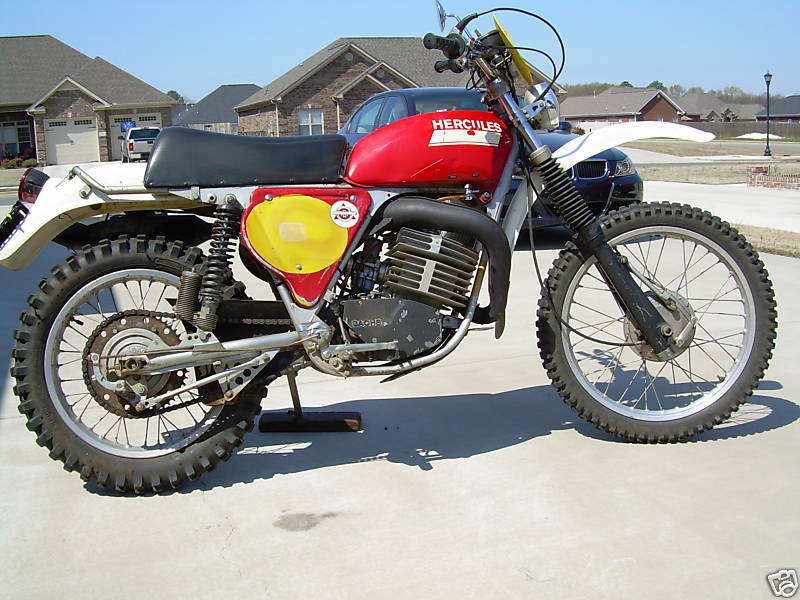 In 1974 Hercules released the Wankel powered W2000 and were the first company to produce a motorcycle with a Wankel rotary engine. 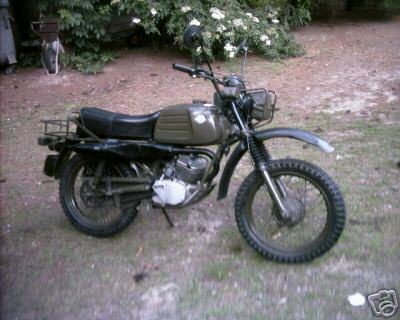 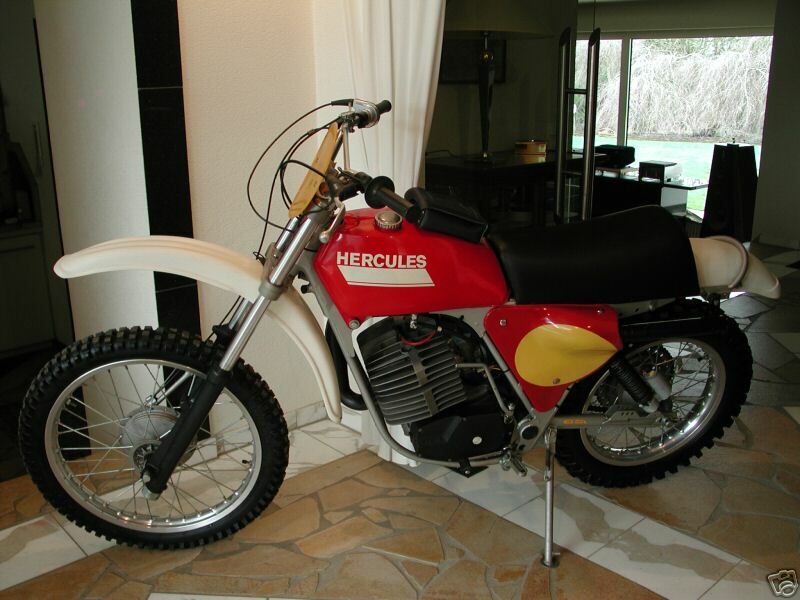 The Hercules was only built from October 1974 to November 1975. 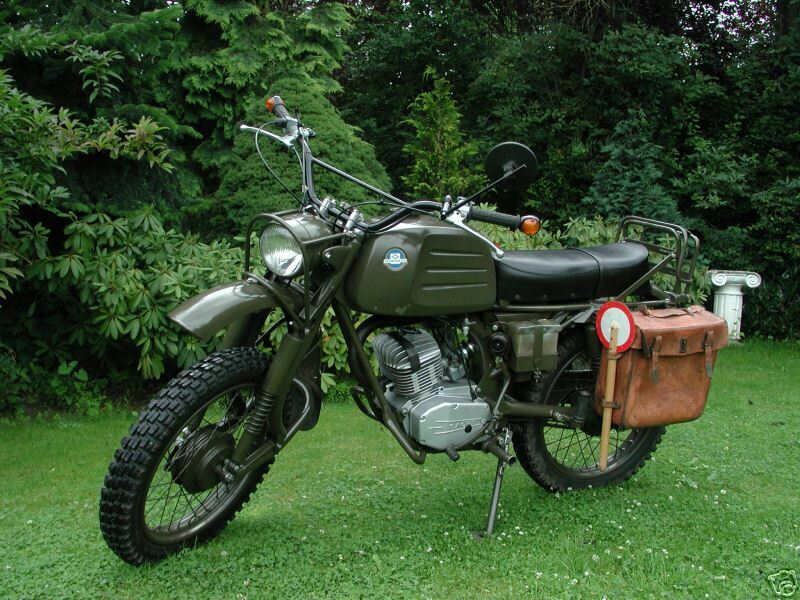 1784 were built and the leftovers were sold each successive year as that year’s model, right up until 1979. 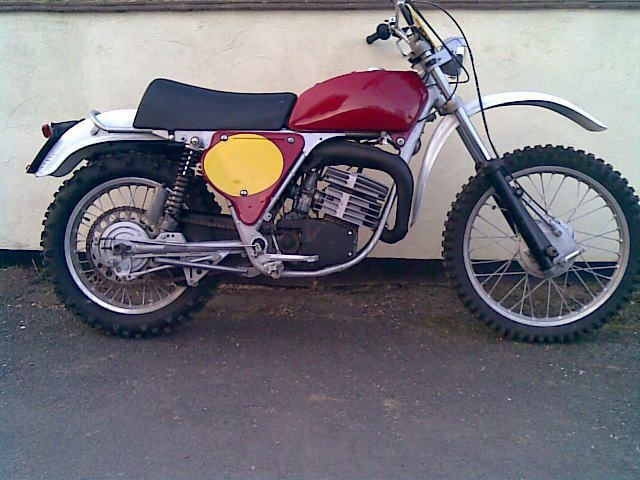 The early ones had a gas and oil mix, the later ones used oil injection. 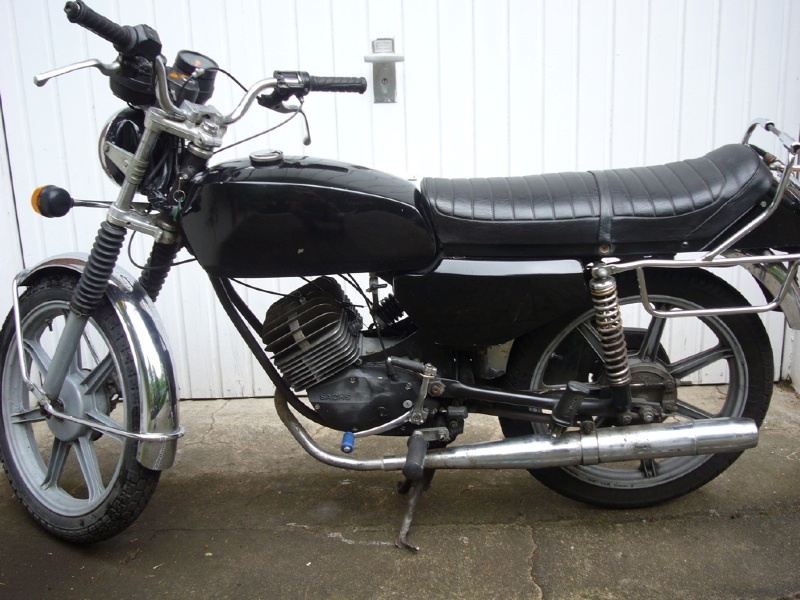 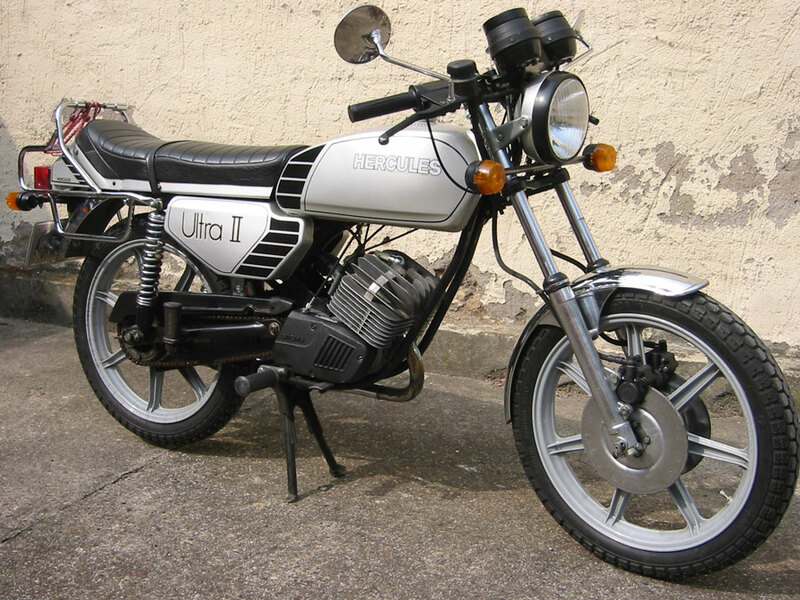 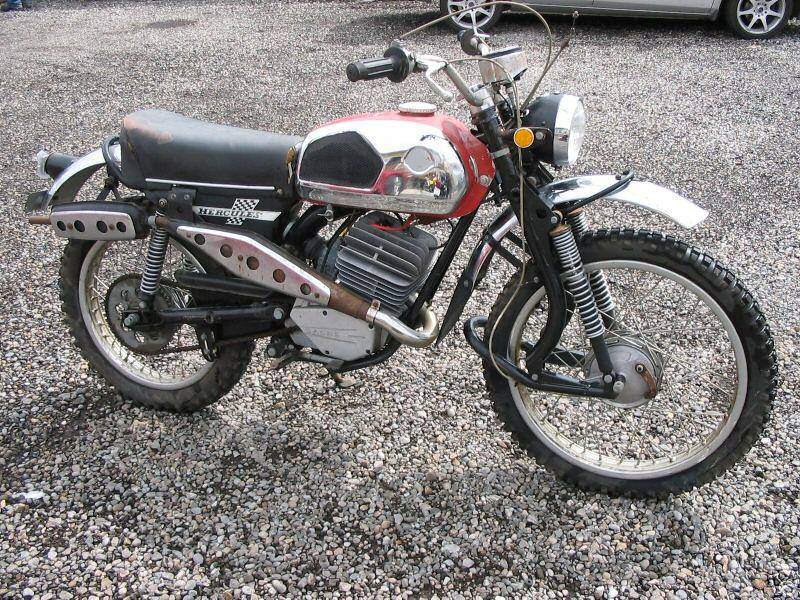 The Hercules was one of only a few rotary engine motorcycles to make it to market, the Suzuki RE5 being another as well as the very limited Norton John Player Specials. 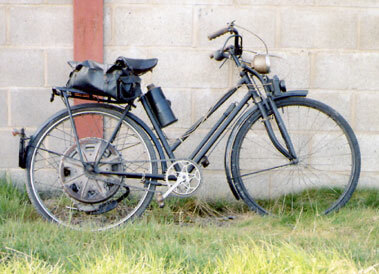 A Hercules ladies cyclemotor frame and Cyclemaster engine, finished in black and fitted with a detachable spare fuel can, full lighting set and saddle bag. 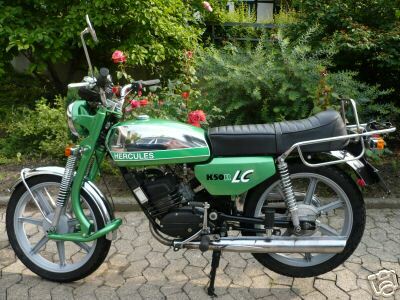 1971 Hercules K 105 X Picture courtesey of www.classic-motorcycles.com.